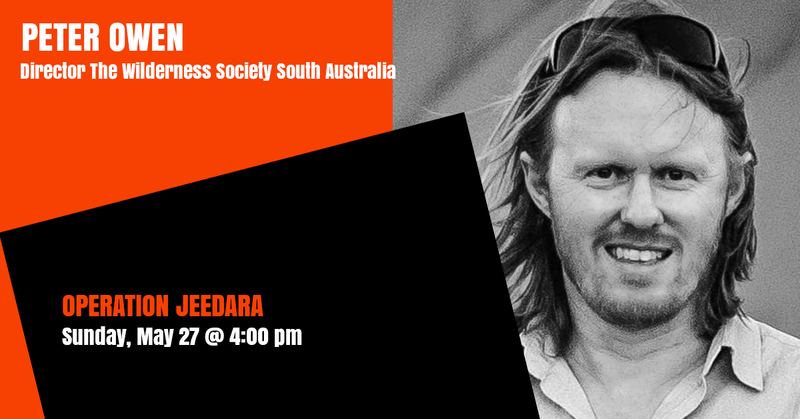 Peter Owen is Director of the Wilderness Society in South Australia. He is also a past recipient of the South Australian of the Year for environmental protection and in 2016 was awarded the Australian Environmentalist of the Year from The Bob Brown Foundation. Over the past decade, Pete and the team at TWSSA have been instrumental in the protection of vast areas of land and seascape including the Nullarbor Plain, South Australia’s Offshore Islands, the Arkaroola Mountains, the Mawson Plateau, the declaration of the State’s 19 Marine Parks and the campaign to protect the Great Australian Bight from risky deep sea oil drilling and the expansion of the fossil fuel industry.